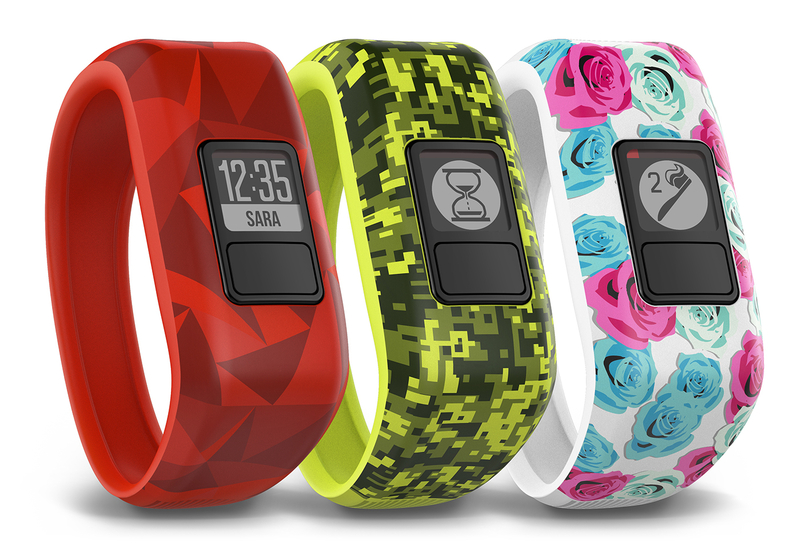 This morning as the kids were getting ready we took a quick look at the Garmin Vivofit Jr which was just announced. My 7yr old son immediately wanted the digital camo one as it’s reminiscent of the infamous Minecraft pattern. A quick poke around on this and it’s a very cool concept and one that very well might make its way into our home. Garmin has given this band some very solid consideration. First, it’s swim-proof and the battery will apparently last for about a year! No charging is huge … Additionally this seems to really be about building and rewarding good habits. Aside from basic activity and sleep tracking you will be able to track and reward chores and home responsibilities. The app looks simple enough though not clearly linked to the broader Garmin Connect system at least not obviously so I cant quite tell how or if my family can “be friends” to compete and share activity. This doesn’t seem to ship for at least a month so hopefully more info beyond the press release will be available soon. This isn’t the first product to offer activity tracking for kids but Garmin has the cred and enough adults already connected to make me think this has some real potential.